400+ Arcanas & high value stuffs for sell. Check my steam inventory. Im selling items at 80% of market price. - You must have a verified account. 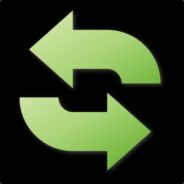 - Check my rep thread on Steam profile. I've been selling items for over 3 years. - I will not sell more than 100$ items for new buyer(except regular buyer). Prefer daily basic instead of bulk purchase. What can I get sir? i have paypal bro need this how? hi sir,how do we do this? I want to buy arcana but i dont know paypal and g2a im from the Philippines do u have any other kind of payment sir? Can let me know the kantusa price? R u singaporean? how much for jugg arcana?